@Gaurav: That message came up with version 4.3.1 installed. It appeared after I had one of my explorer hangs on login which I manually recovered from (ctrl+alt+del, task manager, restart explorer.exe) instead of letting time out. There are clearly some compatibility issues/bugs left, as evident by my issue and a couple other people reporting more. While it's great that classic shell was finally updated for the AU/CU, the sad part is that the "fall" creator's update is coming soon, which may break more things yet again. I made the mistake of installing 4.3.1 on my 1703 prior to updating to 1709 and now it will not work no matter what I try. On my other machines I left CS at 4.3.0 when I updated them to 1709 and it works just fine. For me I installed it 'after' upgrading to FCU and it works flawlessly. I have seen people mentioning the issue of it not updating properly after upgrading the system before though in previous versions. So it's possible you might have needed to uninstall Classic Shell before upgrading to prevent that issue. Have you tried simply running a system reset to get your OS completely default [basically removing all things that don't come with Windows] and then reinstalling Classic Shell? If you can't uninstall the leftovers from it then that may be your best option. It's a pain but if you go into the settings app, and use the reset option you should be able to restore it to default version of FCU removing all files that don't come with it. Then you should be able to reinstall Classic Shell 4.3.1 and it should work flawlessly then. uggh here we go again. I did the FCU now no matter what I do explorer loop crashes. I just tried the start10 trial version and it won't even launch the program as it immediately informs me that its not activated and then asks me if I want to uninstall it. I wonder just how many other programs are in trouble around this update? I really wish that I'd come here first to read the comments before committing myself to 1709. Hi, we use Classic shell in an AD environment for all users and get trouble now with the current Fall Creators Windows Update. Software is installed locally with admin privilegies. Windows Users are regsitrered as Users, not Admins, so they are not able to install any programms or make changes in their system. For this changes admin privileges are neccessary. I can't go around and change it on all working stations. Is there any solution how it can be fixed automatically? Unfortunately, in cases of broken apps that can't be uninstalled and can't be fixed with the repair tools this is normally the only fix there is. With programs that have broken to this extend there is normally too much corruption to fix otherwise. I was able to get CS to work by not changing the default installation directory that it automatically wants to use. Anytime that I would change it to something else it wouldn't work. In previous versions of windows this has not been a problem and I could install it into whatever directory name I chose. After installing the FCU I got the message that CS had to change it's config. This worked fine. The only problem I had was that Network Connections hung my system. Other than that all seems OK. I just installed Classic Shell for the first time on this Windows 10 laptop, just after installing the FCU. Everything here seems to be working fine. After the FCU I also got the message that it needed to reconfigure. I did that and it gave no problems. 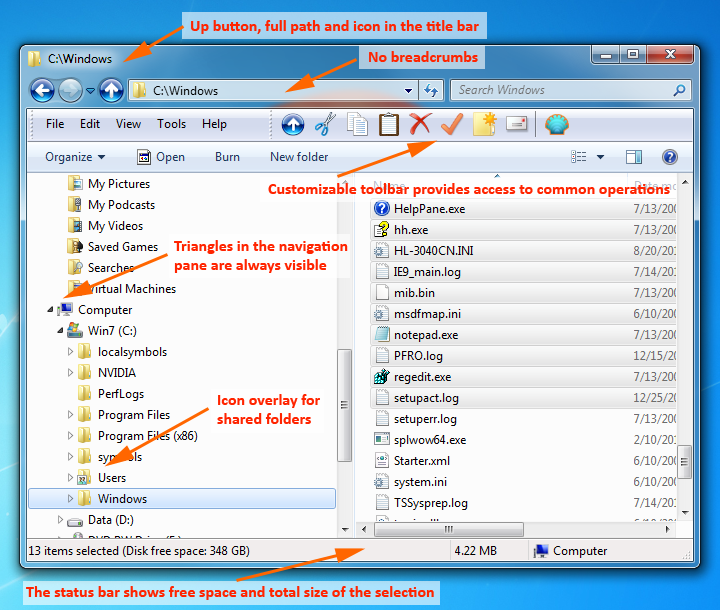 But when I open windows explorer it is again the ugly ribbon style and not the classic explorer. The classic start menu is working fine. I saw there was a new update for classic shell, installed that but still the explorer is not working. Uninstalled everything and also used ClassicShellUtility to remove and installed classic shell again, but unfortunately the classic explorer is still not showing up. Does anyone have a idea what I can do to fix it? I was sure I was using both the classic start menu and classic explorer, but apparently I had installed the oldnewexplorer for that part. Uninstalled and reinstalled it all and now it works okay. I still think it looks a bit different then before the Windows 1709 update but I can't put my finger on it. I atleast have all my buttons back. well i feel like a tool. I saw there was an issue with IDT. I guess during the FCU my idt was not installed . found the driver installed and now classic shell works!! yayy! Hi, I can't install CS on Win 10 (error code 2503), any suggestion? The Newest build of windows 10 is incompatible with IVO's version of classic shell.